Summary: (2242 - 2243) - A full-length novel that dives into what Scotty did while in Engineering School. Has a bit of everything in it, from humorous hijinks to serious drama to highseas piracy. Click on the series link for a more in depth summary. Summary: (2242) - A light little piece that pokes fun at accents; Corry and Scotty have a little language duel. 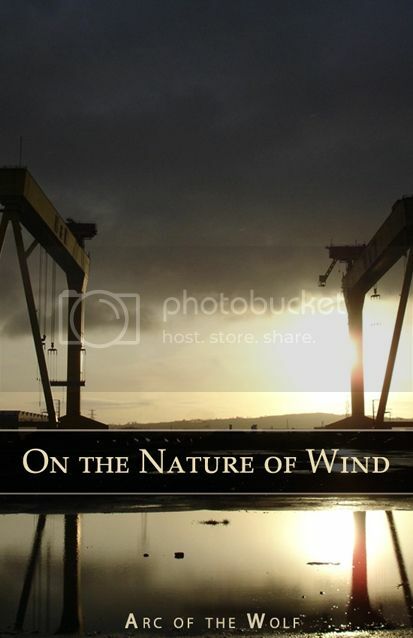 Takes place between the Prologue and Part 1 of On the Nature of Wind. Summary: (2244) - Corry tries to find his way through life on Vulcan, and finds out quickly that he may be in over his head. Companion piece to Anna Amuse's Silver Lining. Some spoilers for On the Nature of Wind; takes place about six months later.